Microgrids lie at the technological core of efforts by two Native American Tribal Nations to develop local electric utilities and gain greater degrees of self-reliance and sovereignty. Not far from Oklahoma City, Fire Lake Energy — a nascent tribal utility being formed by the Citizen Potawatomi Nation — is developing a 10-MW microgrid. The project will use natural gas-fueled generation that will run in sync with wind power delivered under a virtual power purchase agreement (VPPA) with Enel Green Power North America. 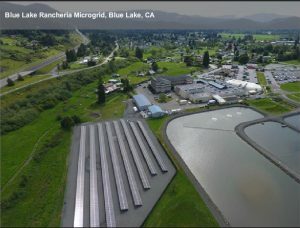 And in northern California, the Blue Lake Rancheria Tribal Nation aims to build a microgrid within an existing microgrid to serve a fuel station-food market that can act as a community shelter and emergency response services center. Both microgrids serve as fundamental elements of broader-based initiatives by leaders of the tribal nations, who are working to gain control and responsibility for energy and socioeconomic development. 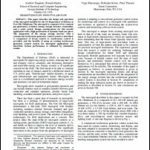 Project leaders described the microgrids during a November 28 webinar by the US Department of Energy (DOE) Office of Indian Energy in partnership with the Western Area Power Administration (WAPA). The Citizen Potawatomi Nation spans roughly 900-square miles not far from Oklahoma City. Governed by a three-person executive committee and 16-member legislature, the tribal nation’s nearly 34,000 members (some 70 percent of whom reside outside the tribal nation) make it the ninth largest, federally recognized Native American Tribe in the U.S. by number of enrolled members, said David Thomasson, Citizen Potawatomi Nation Energy Services project organizer. 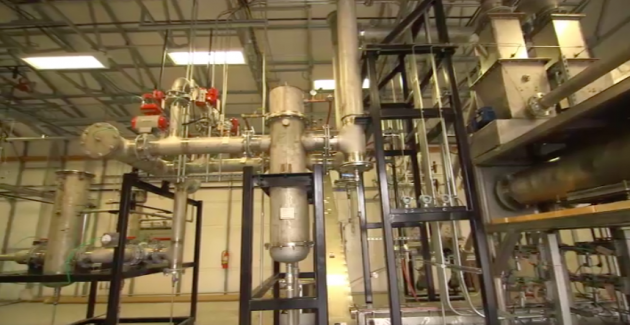 Fire Lake Energy expects the microgrid to be complete 2 1/2 years after its launch this month. The microgrid will meet the tribal nation’s electricity needs for the foreseeable future at roughly 20-30 percent less cost than what the tribal nation now pays its utility — and do so more reliably and with greater resiliency, Thomasson said. Thomasson pointed out that while Citizen Potawatomi Nation doesn’t experience hurricanes, wildfires or earthquakes, “we do have ice storms and tornadoes, and both can be pretty devastating.” For that reason, most, but not all, of the tribal nation’s electricity distribution lines are buried underground, he noted. The microgrid-utility project team is negotiating with the tribal nation’s utility to acquire the distribution assets on tribal land. If successful, the tribal nation utility will remove and bury all remaining overhead power lines to enhance electric reliability and resiliency, Thomasson said. The project will reduce greenhouse gas emissions and other negative environmental impacts by displacing coal-fired generation from the utility with wind and natural gas-fired generation. The Fire Lake Energy microgrid project team carried out an energy resource evaluation and feasibility study before deciding to launch the initial phase of the project with a 4-MW natural gas-fueled generator. In addition to natural gas, solar and wind power were evaluated as potential sources of on-site power. The team analyzed four attributes: resource availability, land requirements, economic value and environmental benefit. Natural gas scored the highest for three of the four criteria — resource availability, land requirements and economic value. Solar and wind power scored the highest on just one — environmental benefit, according to the feasibility study results. 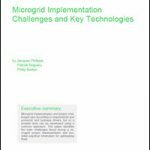 Have you submitted your presentation idea for Microgrid 2019? Next month is the deadline! Oklahoma is prime territory for wind power, but Citizen Potawatomi Nation lies outside those areas, which by and large lie in western Oklahoma. The Potawatomi Nation’s solar potential is good, but the economics of relying on solar energy as the primary source of power didn’t work out, especially when the cost of energy storage was added into the equation. “So we looked at natural gas. Oklahoma is a big producer and a major hub for natural gas distribution. Everything we see tells us that natural gas is the best fuel we can use if we want to build a utility and a microgrid that provides reliable, resilient and cost-effective power,” Thomasson said. Modernizing the tribal nation’s electricity distribution infrastructure is a key, beneficial facet of Fire Lake Energy. “We have about 70 different meters in different areas with 14 different tariffs that range from about $0.14 to $0.07 per kWh.” Better management will save money and eliminate exposure to rising utility rates, according to Thomasson. Tribal nation Blue Lake Rancheria is further along the energy self-reliance path Potawatomi Nation has set out on. From a point of common connection, the tribal nation picks up where Pacific Gas & Electric (PGE) leaves off, distributing power from the utility and its on-site community microgrid at 12.5 kV, according to Jana Ganion, Blue Lake Rancheria’s energy director. Blue Lake is saving about $200,000 in operational costs as a result of the microgrid, as well as boosting employment on tribal nation territory 10 percent, according to Ganion. “The system is on autopilot 99 percent of the time, optimizing solar and battery storage and arbitraging to even out utility grid load and generation. Equipped with demand response capabilities, the microgrid is reducing time-of-use energy costs at Blue Lake by generating peak power in sync with peak loads, 12 pm-6 pm. In addition, the microgrid’s load-shedding capabilities strengthen the external PGE grid by automatically reducing loads when the utility grid is under strain. Blue Lake Rancheria benefits monetarily as well, producing revenue for providing ancillary grid services. The project, which uses Siemens‘ microgrid controller technology, also was one of the first to emphasize the carbon reduction capabilities of microgrids. Blue Lake now intends to double the capacity of its 420-kW solar, 500 kW/950-kWh lithium ion battery storage microgrid in the next year and a half. “We have some legacy diesel gen-sets that data back since about 2000. They have plenty of life left, but we don’t like them — they’re dirty and put out emissions. We’re looking to replace them as soon as possible with battery storage and only use them in significant emergencies,” Ganion said. A second, emergency back-up microgrid-within-a-microgrid (a 60-kW solar canopy and 106 kW/169-kWh battery energy storage) is under construction at Blue Lake Rancheria, as well. Being built at the tribal nation’s gas station-convenience store, the new microgrid will serve as an emergency preparedness and services asset. The project also provides a replicable model for combining microgrid and advanced building controls for small and medium-sized commercial buildings. “This serves as a serious emergency preparedness service for us in rural areas, because gas stations really do provide all those lifeline services we’ve been talking about [energy, water, food, IT and communications, and transportation]. In an emergency a gas station-convenience store might be the only critical infrastructure that’s around…We’ve seen during hurricanes and other disasters that gas stations can be taken out and that affects emergency responders, and that affects the ability of people to get diesel for their own generators at home, and keep their medicines cold — all of these things that actually could be solved with a resilient [microgrid] package for gas stations,” Ganion said. The webinar was the 11th and final of the agencies’ 2018 Tribal Sovereignty and Self-Determination through Community Energy Development webinar series. Track news about tribal microgrids. Subscribe to the free Microgrid Knowledge newsletter. This tribal microgrid approach makes a lot of sense. Use renewables coupled with batteries normally to minimize GHG emissions. Operating in parallel with the grid can also minimize the microgrid costs normally. The grid can provide back up power when the renewables energy and storage energy on the microgrid are exhausted. Using diesel generator as a back up for infrequent grid outages, after the storage capacity is exhausted is also prudent. Batteries are still fairly expensive. So, the use of back up diesel may minimize the battery support time needed and reduce the battery costs by a significant amount. Most of the grid outages are no more than a couple of hours. So, it is more cost effective to size the battery for the typical outage duration of less than 4 hours, annually, and use back up generator for the major outages, once in 10-20 years, that may last a few days. The battery also has a shelve life of about 10 years and may need to be replaced even if not used. So, it does not make economic sense to spend a lot of money to install a huge battery with a few days of support time when it is just going to sit there collecting dust and require more maintenance most of the time.